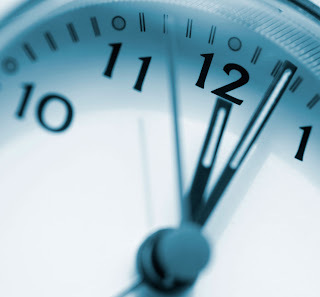 Practical Advice: Ibaadah You Can Do in 1 Minute ! Indeed, in one minute, one may do much good and obtain a great reward. One single minute could extend your life, increase your acts of obedience, your understanding, your memorization (of the Quran), and your good deeds. If you know how to spend one minute, it can be added to the book of your good deeds (on the Day of Judgement). 1- In one minute, you can recite chapter Al-Faatihah (the opening chapter of the Quran) silently. Some scholars, may Allaah have mercy upon them, stated that a person gets more than 1400 good deeds for reciting it once. If one recites it 7 times, one gets 9800 good deeds in one minute. 2- In one minute, you can say ''Astaghfiru Allaah'' (I seek forgiveness of Allaah) more than 100 times. The virtue of seeking forgiveness is well-known, it is a reason of obtaining forgiveness, entering Paradise, having good provisions, increasing one's strength, repelling harm, having affairs facilitated, the descent of rain, and increasing in wealth and children. 3- In one minute, you can read a part of the Quran. 4- In one minute, you can memorize a small verse of the Quran. 5- In one minute, you can say ''Laa ilaaha illa Allaah wahdahu laa shareeka lah, lahul mulku wa lahul hamdu wa huwa 'ala kulli chay'in qadeer'' (None has the right to be worshipped except Allaah Alone, He has neither partners nor associates, to Him belongs sovereignty and praise and He is over all things wholly capable) 20 times; its reward is setting 8 slaves free for the sake of Allaah from the children of Ismaa'eel (Ishmael), may Allaah exalt his mention. 6- In one minute, you can say ''Subhaana Allaah wa bihamdihi'' (How perfect Allaah is and all praise be to Him) 100 times, and whoever says this, his sins will be forgiven even if they were like the foams of the sea. 7- In one minute, you can say ''Subhaana Allaah wa bihamdihi, Subhaana Allaah Al-Adheem'' (How perfect Allaah is and all praise be to Him, how perfect Allaah is, The Supreme) 50 times, and these are two expressions which are easy to say, but they are very heavy on the scale of good deeds, and they are beloved to Allaah. [ [Bukhari: Hadith No:673, V:8] and [Bukhari, B:9, V:93, Hadith 652]]. Prophet Muhammad (sallahu Alayhi Wa Sallam) said, "There are) two words which are dear to the Beneficent (Allah) and very light (easy) for the tongue (to say), but very heavy in weight in the balance. They are: Subhan-Allahi wa bihamdihi, Subhan-Allahil-Azim (Allah is free from imperfection and His is the praise)'. 8- The Prophet, sallallaahu 'alayhi wa sallam, said: ''If I were to say: ''Subhaana Allaah, wal hamdu lillaah, wa laa ilaaha illa Allaah, wallaahu Akbar'' (How perfect Allaah is, all praise be to Allaah, None has the right to be worshipped except Allaah, and Allaah is the greatest.) it is better for me than the whole world.'' [Muslim]. In one minute, you can say all the above words 18 times, and these words are the most beloved words to Allaah, and the best of all speeches, and their weight on the scale of good deeds is very heavy, as reported in authentic narrations. 9- In one minute, you can say ''la hawla wa laa quwwata illa billaah'' (there is neither might nor power except by Allaah) more than 40 times. This is a treasure among the treasures of Paradise, as reported by Al-Bukhaari and Muslim, may Allaah have mercy upon them. It is also one of the major reasons of bearing difficulties and hardship. 10- In one minute, you can say ''Laa ilaaha illa Allaah'' (None has the right to be worshipped but Allaah) approximately 50 times, and it is the greatest word, as it is the word of Tawheed (Oneness of Allaah), a good word, and a firm statement, and whoever says this expression as his last words before breathing his last, he will enter Paradise; the above expression also has other virtues. 11- In one minute, you can say: ''Subhaanah Allaah wa bihamdihi, 'adada khalqihi, wa ridha nafsihi, wa zinata 'arshihi, wa midaada kalimaatihi'' (How perfect Allaah is and all praise be to Allaah, by the number of His Creation and His Pleasure, and by the weight of His Throne, and the ink of His Words) more than 15 times. This statement equals multiplied rewards of ordinary legislated mention of Allaah, as confirmed by the Prophet, sallallaahu 'alayhi wa sallam. 13- In one minute, you can give a short summarized speech which could be very beneficial for the listeners. 14- In one minute, you can exalt the mention of the Prophet, sallallaahu 'alayhi wa sallam, by saying ''Sala Allaahu 'Alayhi wa sallam'' (may Allaah exalt his mention) 50 times, for which Allaah will exalt your mention 500 times, because one exaltation is multiplied tenfold. 15- In one minute, you can think about the creation of the heavens and the earth, as a result you will be considered among the people of understanding whom Allaah mentioned in the Quran. 16- In one minute, you can think about being grateful to Allaah, loving Him, fearing Him, hoping for Him (His Mercy) and longing to meet Him; by doing so, you would have achieved great acts of worship while you may be lying down on your bed or walking in the street. 17- In one minute, you can read more than two pages from a beneficial book which is easy to understand. 18- In one minute, you can keep ties with your kinship by phoning them. 19- In one minute, you can supplicate with general supplications. 20- In one minute, you can greet (by saying Salaam to) a number of people and shake hands with them. 21- In one minute, you can forbid evil. 22- In one minute, you can enjoin good. 23- In one minute, you can advise a brother. 24- In one minute, you can intercede in doing good for a person. 25- In one minute, you can comfort a distressed person. 26- In one minute, you can take off an obstacle from the road. 27- By benefiting from one minute, you will preserve and benefit from other times. Therefore, according to your sincerity and being conscious that Allaah is always watching you, your good deeds and reward may be multiplied. You should know that most of the actions do not necessitate anything from you, you do not need to be in a state of purity and they do not cause you any hardship. You may do the above deeds while walking on the road, or being in a car, or while lying down, or sitting, or waiting for someone. In addition to this, these actions are the best reasons for achieving happiness, being content and overcoming problems and difficulties. Finally, I suggest that you keep this paper in your pocket in order to remember these actions and to read it over to your Muslim brothers. By doing so, you will help them to benefit from their time and you should not underestimate any good deed. Indeed the person who enjoins others to do good is as if he did those good actions himself [he will get their reward without diminishing anything from their own reward]. Salamálaykum dear sister... JazakAllah Khayr for compiling and sharing this with us. Having said that, I had a humble query. #7 is in two paragraphs, quoted as two separate hadith's, says the same thing in Arabic (albeit the transliteration is differently spelt), but what I did not understand was why the translations were different. The start of the translation is similar, but the end of the 2nd one is different. I was curious to know why. Quite obviously, my understanding in Arabic is dependant on translations for now. I'd appreciate your looking into this/explaining this. What I understand is that the words of Arabic language have vast meanings, which cannot be put in English/Urdu etc translations. The both translations are correct, but I guess they missed the translation in #7's second paragraph for Subhan Allahi Al Azeem(i.e. how perfect Allaah is, The Supreme). This is my limited knowledge. InshaAllaah another knowledgeable sister would reply properly. And a Big KJazakAllaahu Khayran kaseera to HabibiHalaqas!!! Maashaa`alaah, this was amazing. i would like to add in one minute you can sit next to your mother of father and kiss them and say i love you mum or dad, Allah knows best. Subhanallah, I really love the one minute ibaadah. ''Astaghfiru Allaah'' 5-7 times in one minute < with sincere reflection on ur life and deeds and asking Allah for forgiveness with every ''Astaghfiru Allaah'' >, rathar than saying it 100 times like a parrot/computerised programme ?!? Same stands true for other Adhkaars mentioned above , e.g. ''Laa ilaaha illa Allaah wahdahu laa shareeka lah, lahul mulku wa lahul hamdu wa huwa 'ala kulli chay'in qadeer'' X 20 times; OR, ''Laa ilaaha illa Allaah'' (None has the right to be worshipped but Allaah) X 50 times, OR, ''Subhaana Allaah wa bihamdihi'' X 100 times, etc. Very true.., all of the above are great suggestions but as you said, it's about quality.. Not quantity. Allah SWT doesn't need mindless rambling.